Apologies for the delay in posting today. 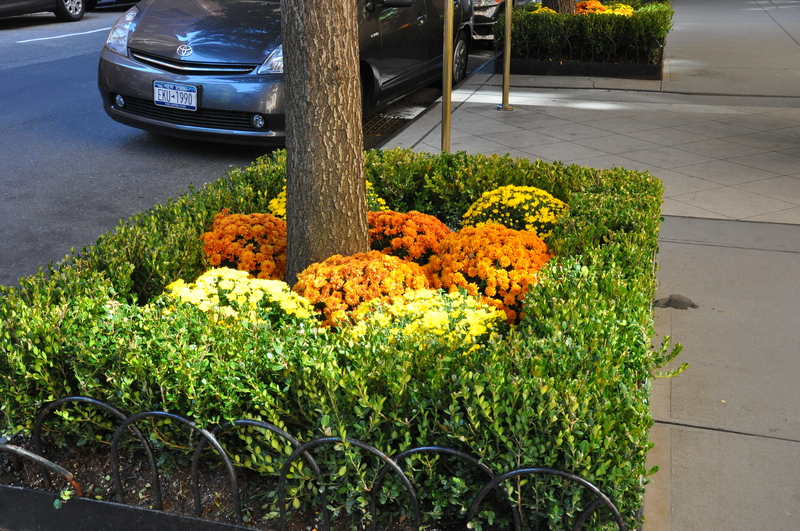 Just rushing about taking pictures of the fall beauty in the city. Except that the massive rain storm appears to have killed all the lovely plants in the planters. Hopefully the bright sunshine today will revive some of them.